I'm a sucker for a mini size product, they're just so handy and convenient but please tell me i'm not the only one that coos or awhhs when you see rows of minis in shop, they're just so cute right?! I have a whole bag full of mini size shampoos, body washes, make up remover and everything else you can imagine in miniature form. 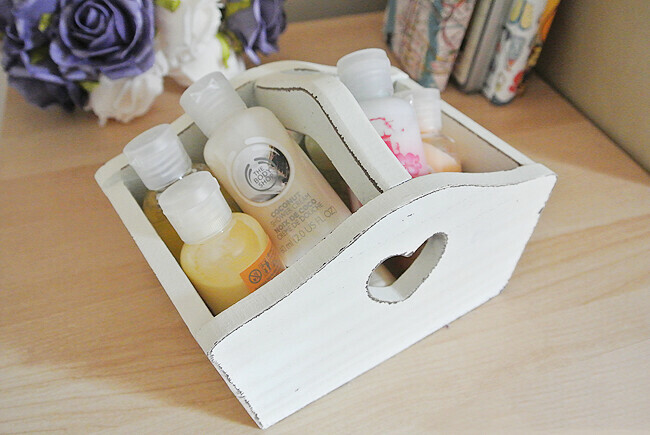 Perfect for when you're away from home and don't want to lug around full size products! They're great for bringing down your luggage weight if you're off on your jollies too! I've got a selection from The Body Shop to show you, from shower gels, creams and lotions, all in mini form but just as good as full size. There's a great section of scents too, my favourites are the coconut shower cream and the cherry blossom body lotion! very cute... great for the purse! plus, i love the body shop. I love the Body Shop! I have a whole host of their minis that I take with me when I travel! I LOVE minis too, they're the best! I love minis! I get very excited when I'm going away and I NEED to buy some. Haha. 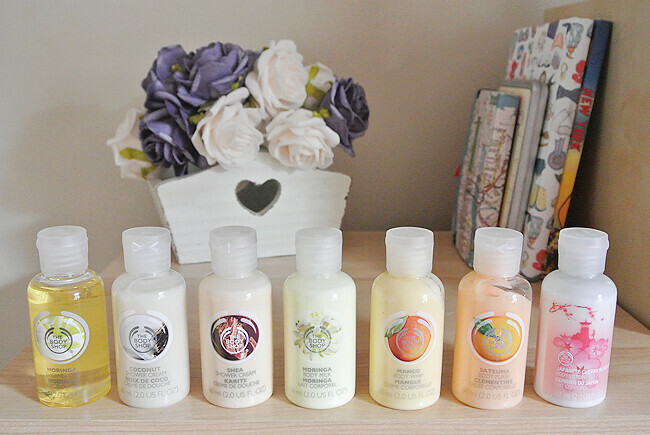 The Body Shop products are so lovely too. I love Body Shop minis too. They're fab if you want to try something out, travelling, and for adding finishing touches to gifts! I love buying minis especially if it's a new scent, I feel less guilty if I've purchased a product I don't like if it's in miniature form. This post has reminded me that I desperately need to stock up on my Body Shop essentials! Body shop bottles are always so cute! They smell amazing too!! Great products, I like them a lot as well! It's so handy when you travel to have mini sized products. So cute! I love all of their scents!